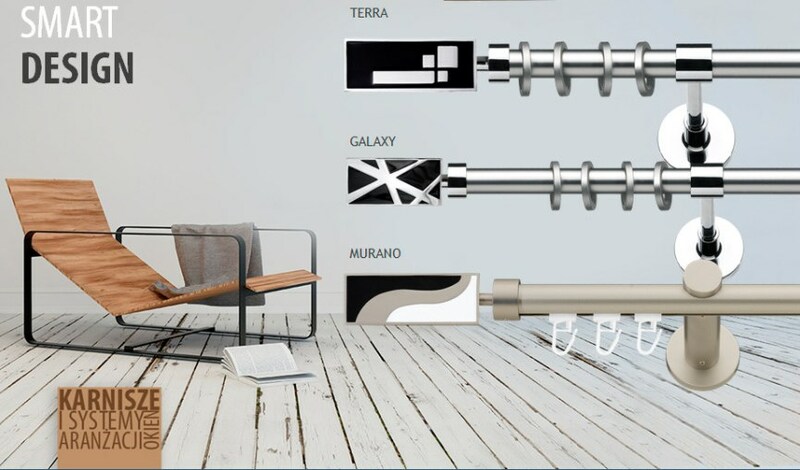 The presented series includes basically modern curtain rods with simple forms and metallic steel finishing elements. Yet also in this collection there are representatives of the classical style and crystal finials. All the curtain rods are available as elements on retail market, what allows the clients to compose their own individual curtain rods.